Lumbarda offers a large choice of restaurants, bars and taverns with traditional cuisine. Most of them serve vegetarian and children’s menus à la carte. The rich veriety of meat and seafood specialties is matched by wine from the Lumbarda wine cellars. 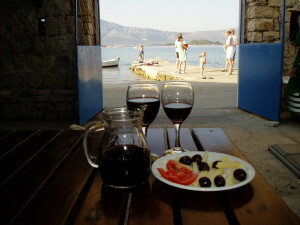 You should try famous white wine Grk indigenous to Lumbarda, and Plavac, Dalmatian favourite red wine. o Fish and meat dishes, salads, deserts. o Breakfast. You can book a half-pension. o Sea food and meat dishes, local specialities, deserts. o House speciality: every day local meal of the day, grilled lamb. o Fish and meat dishes, pasta, salads, pizza, ice-cream. o Pizza, pasta, gnocchi, salads, deserts. o House speciality: pizza Torkul. o Fish dishes, sea food, grilled meat, vegetable dishes, salads, deserts. o House speciality: fried octopus. o Daily menus, grilled meat and fish, boiled fish, crabs and shellfish, salads, deserts. o House specialities: Fisherman-style octopus, lobster with homemade pasta, pasta with fish. o You can book either a full or a half-pension, regardless of where you are staying. o Grilled lamb, baby beaf and other grilled specialities, fish dishes, fresh grilled fish, lobster, skampi, shellfish, salads, deserts. o Sea food and meat dishes, salads, deserts. o Local wine and food tasting. 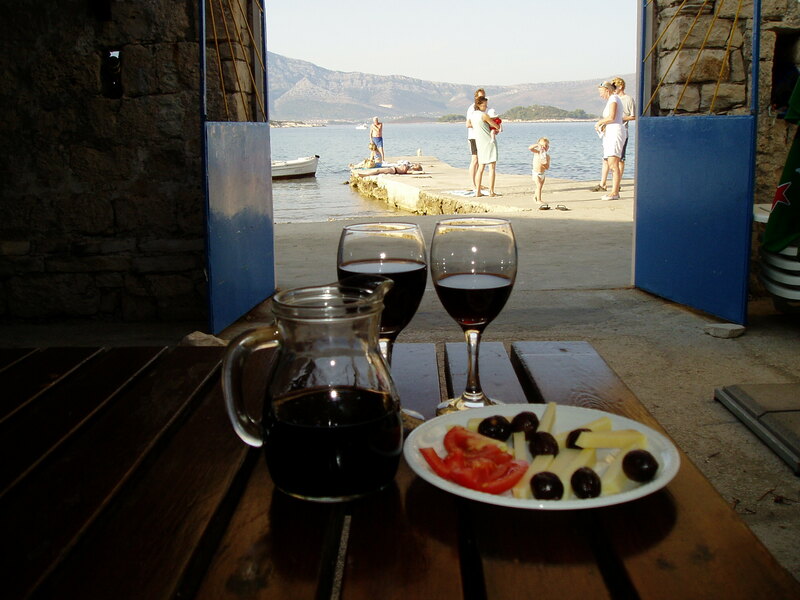 o House specialities: Goat cheese in oil, Dalmatian ham, salted fish, olives, olive oil, dried fruit. o Meat and fish dishes, salads, deserts. o Local specialities from homegrown and homebred products, fish and lobster from our catch, salads, deserts, wine and liqueur tasting. o Grilled meat and fish, big choice of salads. o Grilled meat, hamburger, salads, sandwiches, ice-cream. o Cold and warm drinks, sandwiches, deserts. o Cold and warm drinks, coctails, hot-dog, toasted sandwiches, ice-cream.